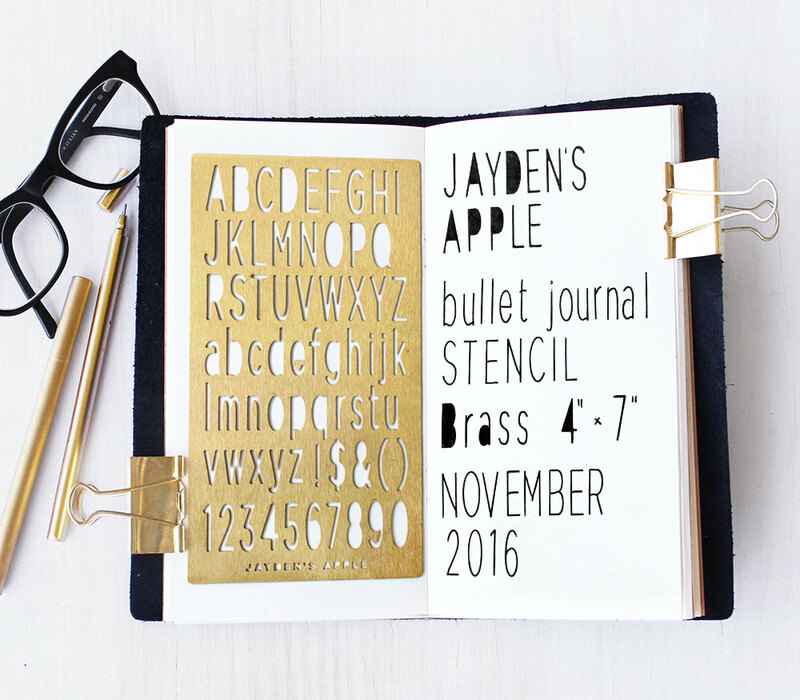 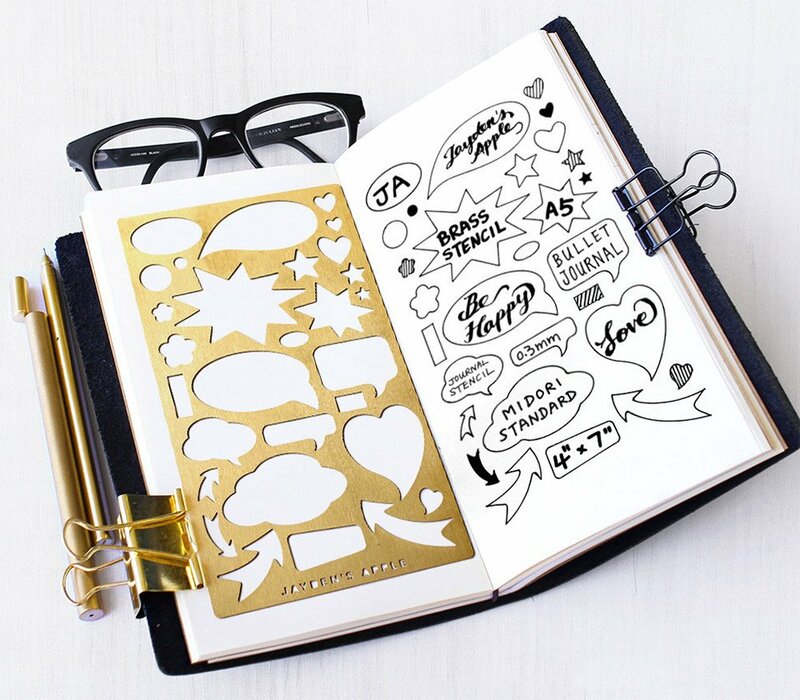 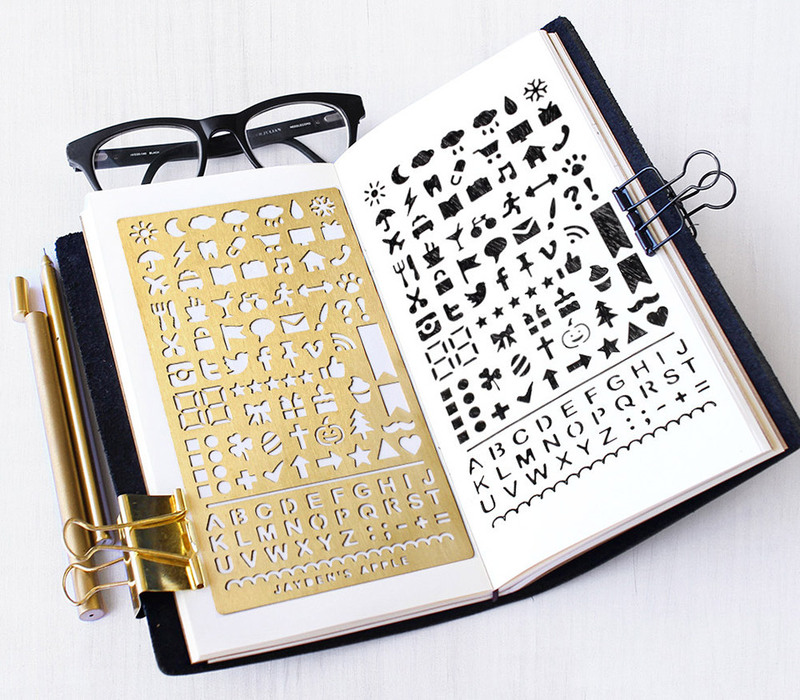 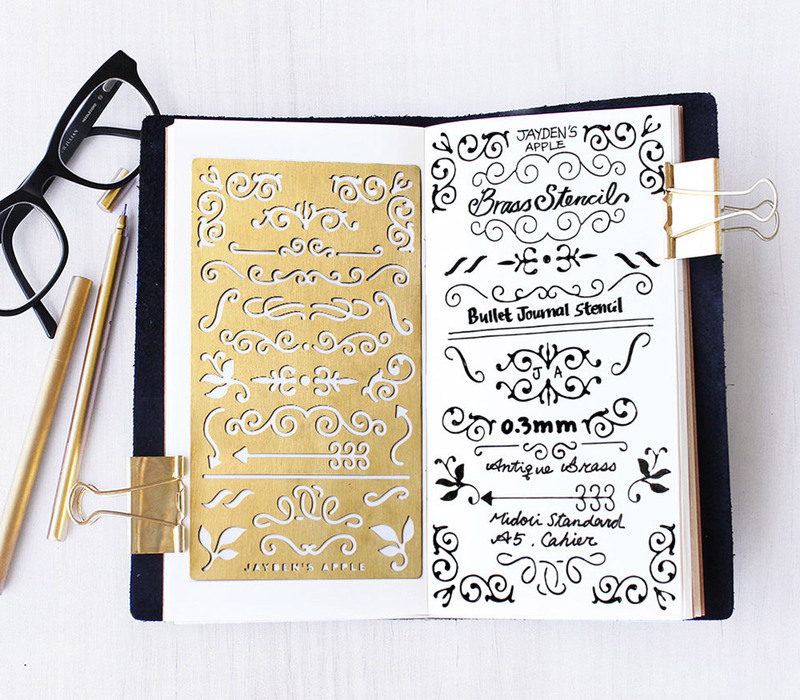 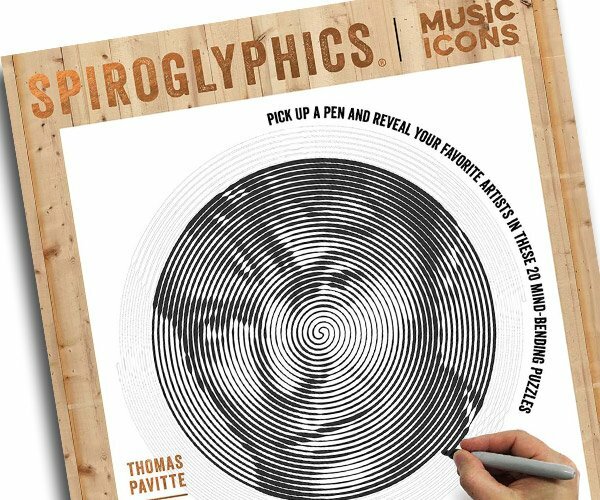 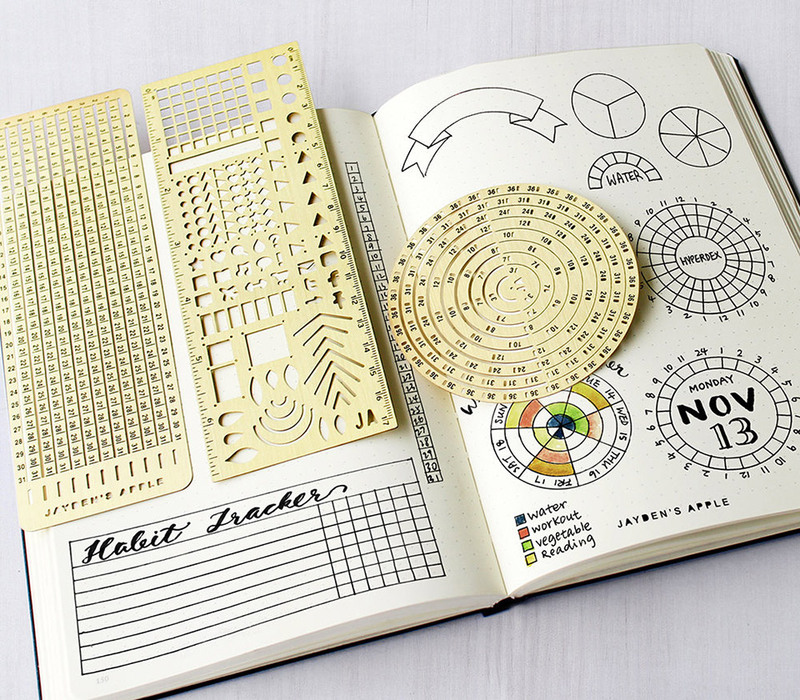 Jayden’s Apple makes nifty brass stencils that are perfect for sketch notebooks. 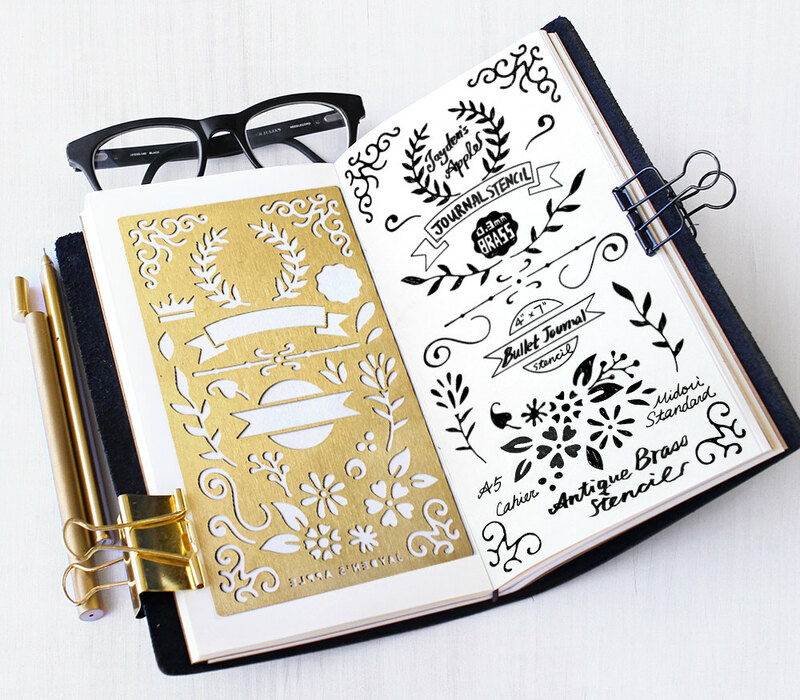 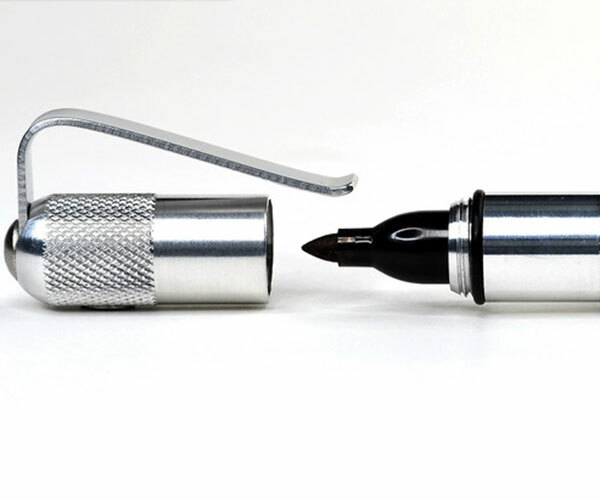 The designs include arrows, flourishes, lettering, plants, speech bubbles, and more. 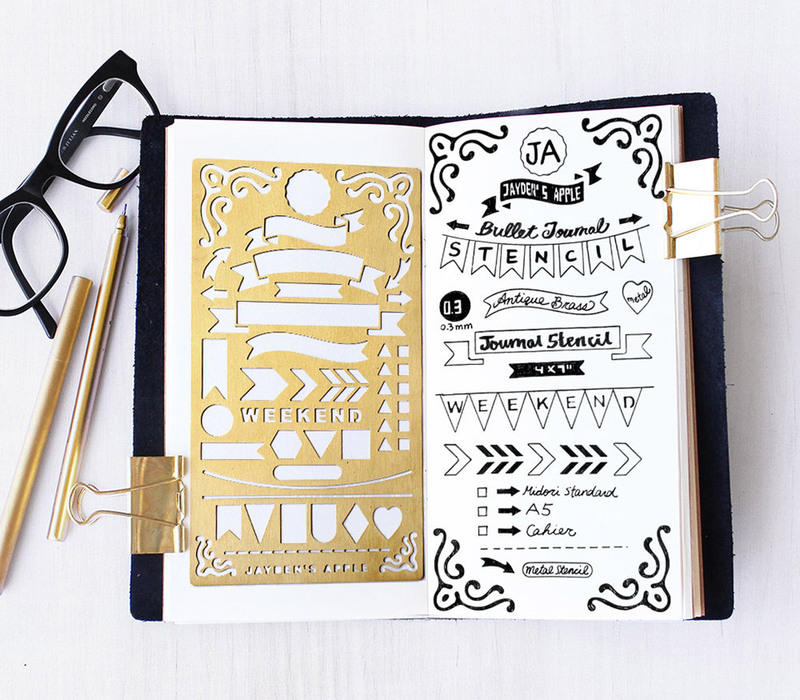 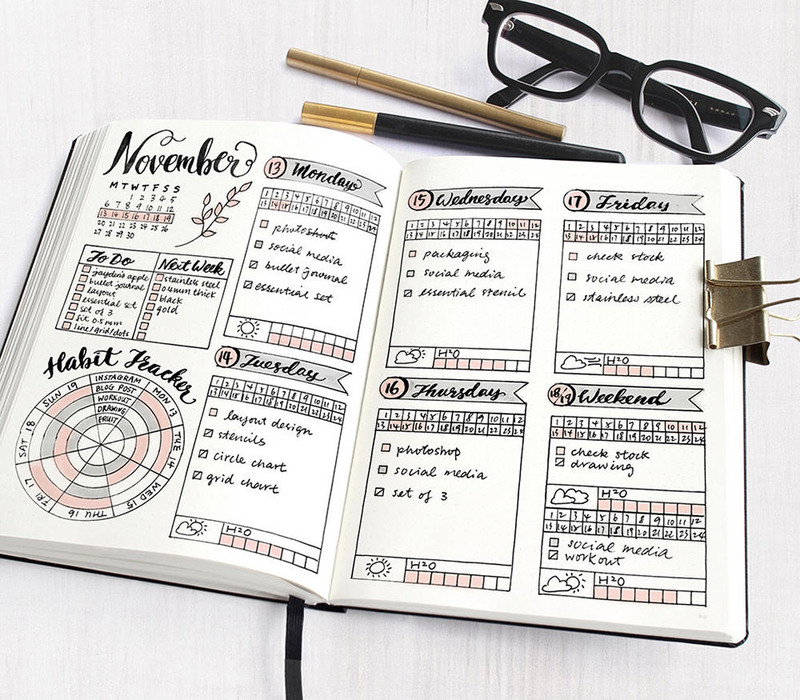 The Journal Essential stencil kit includes elements for drawing checklists, calendars, circles, and grids.